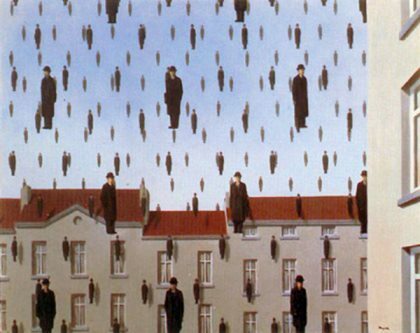 The ‘Golconde’ was painted by great post-structuralist artist Rene Magritte in 1953. It shows us a lot of men. But it is not how we usually see men. Right? so, is this real representation of how men are?